Are you looking for the right lens for your industrial vision camera, such as a c-mount lens, M12 lens or cs-mount lens? We can support you with that. 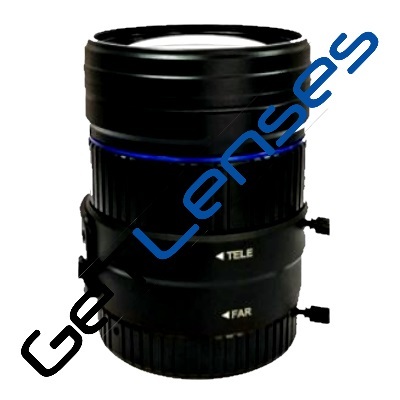 We have a wide range of lenses that we sell under our own brand name GeT Lenses. Machine vision lens portfolio: we have a compact portfolio for all standard applications. In addition, we can supply special lenses such as a zoom lens and a bi-telecentric lens on request. 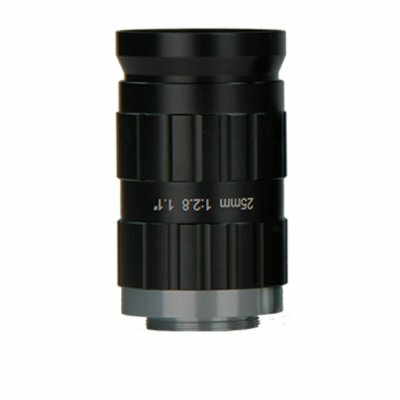 LCM-TELECENTRIC-1X-WD110-1.5, Telecentric C-mount Lens, magnification 1X, sensorsize 2/3"
Telecentric LENS C-mount, Magnification 1X, WD110, max sensorsize 2/3"
LCM-TELECENTRIC-4X-WD110-1.5, Telecentric C-mount Lens, magnification 4X, sensorsize 2/3"
Telecentric LENS C-mount, Magnification 4X, WD110, max sensorsize 2/3"
LCM-TELECENTRIC-6X-WD110-1.5, Telecentric C-mount Lens, magnification 6X, sensorsize 2/3"
Telecentric LENS C-mount, Magnification 6X, WD110, max sensorsize 2/3"
LCM-TELECENTRIC-0.5X-WD110-1.5, Telecentric C-mount Lens, magnification 0.5X, sensorsize 2/3"
Telecentric LENS C-mount, Magnification 0.5X, WD110, max sensorsize 2/3"
LCM-12MP-1140MM-F1.6-1-LD1, LENS Varifocal C-mount 12MP 11MM-40MM F1.6 1"
How to select an industrial c-mount lens for machine vision? We advise a C-mount lens if you use only a few lenses in your application or if you use a camera with an image sensor of 2/3 "or larger. The lens is very light sensitive. The only disadvantages of this lens is the size (relatively large) and the price. 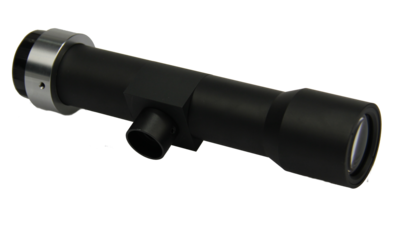 This lens is the most expensive version of machine vision lenses that you can place on an industrial vision camera. What is a CS mount lens? A CS mount lens is a lens that is often used in security cameras. A CS lens can only be used on a CS-mount camera. 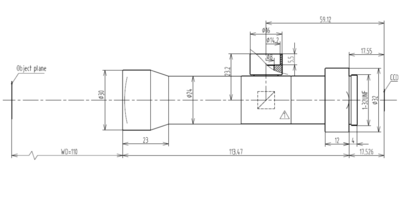 When ordering our machine vision camera you also have the option to provide the camera with CS-mount. The difference between a C-mount lens and this lens is that the lens mount of the camera with a CS-mount is 5mm shorter. A CS lens must be 5 mm shorter to the image sensor than a C-mount lens. It is possible, by means of an adapter (5mm ring), to use a C-mount lens on a CS-mount vision camera. However, it is not possible to use a CS mount lens on a C-mount vision camera. That is because in that case the lens will not be close enough to the image sensor. Regular new models where the old lenses go EOL, unless large orders of 2000-5000 are placed. Due to a poorer predictability of the delivery reliability of CS-mount lenses, we do not offer this standard in our online store. We only offer this for volume projects from 300 pieces per year. 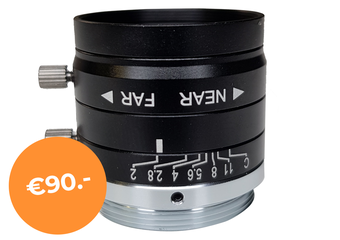 The prices of this lens usually vary between 8 and 25 euros per piece. In addition, we have the possibility to make adjustments to the iris. If you are interested in this lens, please let us know. What is an M12 and S-mount lens? A M12 lens, also called S-mount lens, is the most compact lens for a vision camera. 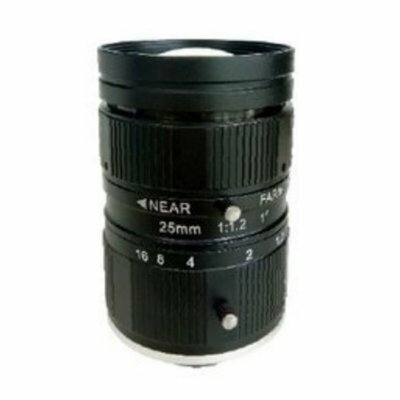 For example, this lens can be used in medical equipment and compact handheld devices. The S-mount lens is very small and is often used on compact board-level cameras. 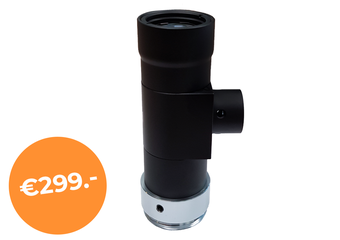 Do you want to use this lens on our machine vision camera? Then it is best to purchase a CS-mount camera. You also need a CS to M12 adapter and a M12 lockring to secure the lens. The lens can be used with a vision camera that has a sensor size of 1/3 ", 1 / 2.5", 1 / 2.3 ", 1/2" or 1 / 1.8 ". Cheap M12 lenses often have a lot of geometric distortion and are only suitable up to a sensor size of 1/3". However, we have chosen not to sell cheap M12 lenses, but the more expensive high quality M12 lenses with little to no distortion. 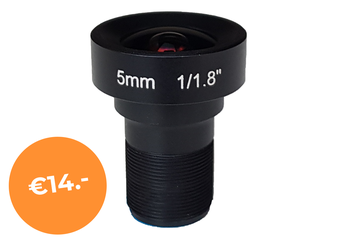 These more expensive M12 lenses are suitable for very high resolution cameras and large image sensors (up to 1 / 1.8 "). Which machine vision lens should I purchase? 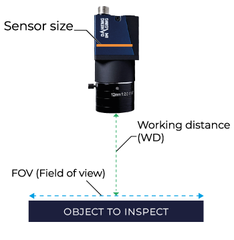 If you have a machine vision application with low volumes or a camera with a sensor larger than 1/1.8" we recommend the use of a C-mount lens. If you develop a volume product in which the dimensions of the lens are critical, a M12 lens is the best choice. The camera sensor must not exceed 1 / 1.8 ". If you develop a volume product in which the cost of the lens is critical, then both a M12 lens or CS-mount lens are a good choice. Again, the camera sensor must not exceed 1/1.8 ". Our machine vision lenses do not have a guaranteed life cycle. 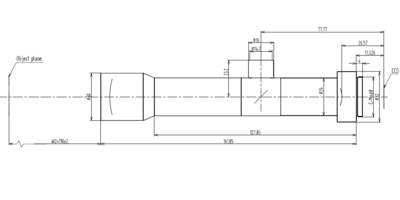 We are in direct contact with the Manufacturer and can therefore monitor the expected life cycle. 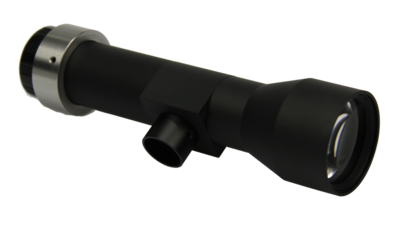 As soon as we known that a lens will become unavailable in the near future, we will timely inform our customers and offer a successor or alternative lens. Would you like to purchase a C-mount lens, CS lens or an M12 lens, but do you still have a question? Please let us know, we are more than happy to help you further.